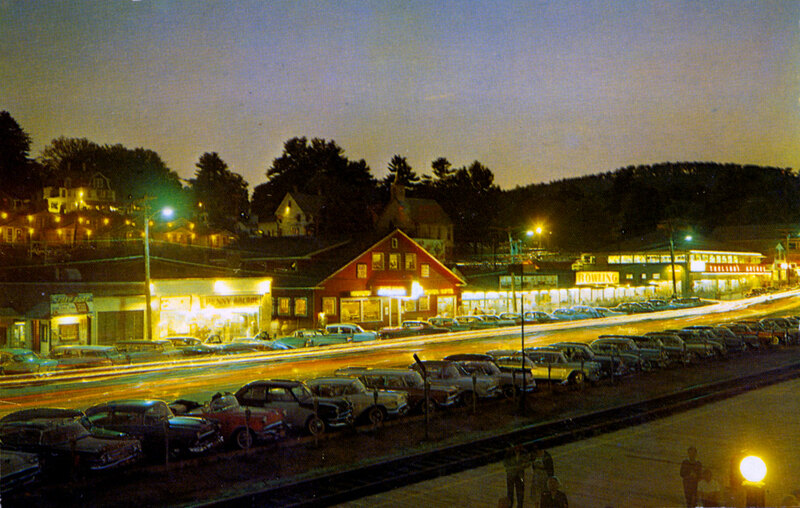 Cars seen in this photo include a 1958 Ford, 1960 Chevy, 1955 Chevy, 1956 Buick convertible, 1949 Ford and more. 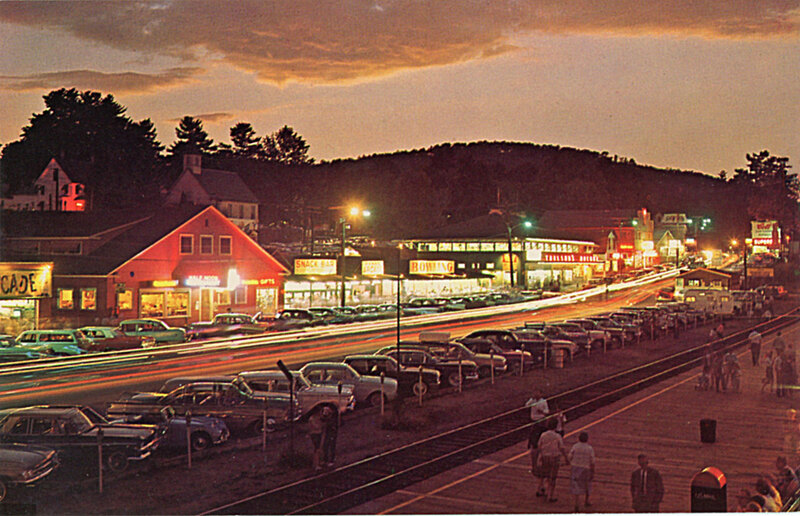 Below, a postcard with a similar view reads: “It’s early evening on the great White Way at Weirs Beach, N.H. 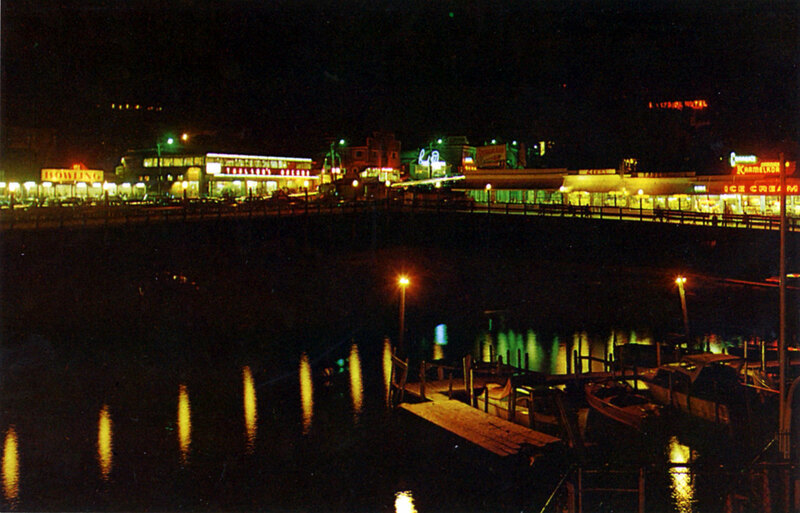 But obviously the area has already taken on a gay color atmosphere to the delight of many who enjoy life here at the popular summer resort.” This photo was taken a few years later than the one above.